Boston scored 10 runs in the final two innings to turn a tight game into a laugher as the Red Sox pounded the Twins 15-4 at Target Field. 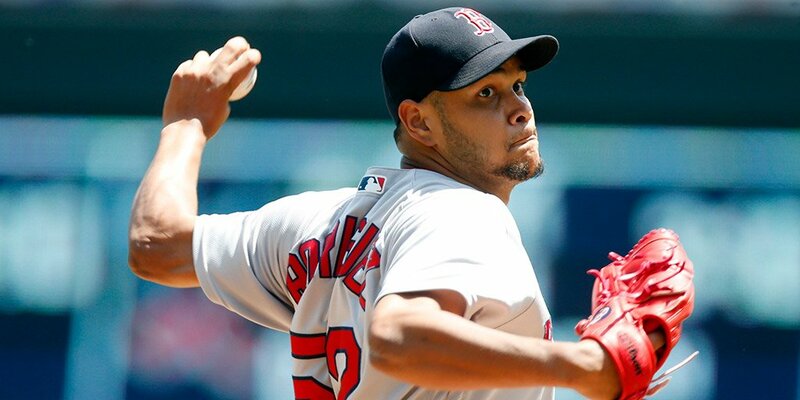 The Red Sox took an early 4-0 lead in the top of the first inning on an RBI double by Xander Bogaerts, the first of his four hits in the game, and a 3-run home run by Jackie Bradley Jr., his 10th long ball of the season. The Twins got three runs back in the fourth on a home run by Kurt Suzuki off Boston starter Eduardo Rodriguez (pictured). Minnesota tied the score an inning later on a sacrifice fly by Trevor Plouffe. The Red Sox garnered 15 hits including four by Sandy Leon, three by David Ortiz and another pair from Mookie Betts. Dustin Pedroia went 0-for-6 and saw his 16-game hitting streak come to an end. Heath Hembree was the winner in relief. Beleaguered reliever Clay Buchholz pitched a scoreless ninth but made sure to drag things out by walking two batters.